SBI PO Recruitment: The State Bank of India (SBI) conducts various examinations for different vacancies with branches all over India. Every year there are more than 2000 posts notified in the categories of Probationary Officers and Clerical level posts. A large number of aspirants are expected to apply for the SBI PO 2019 exam. It is one of the most desired competitive exams in India as it offers a prestigious career option for candidates looking for banking and government sector jobs. However, only graduates can apply for the post of SBI PO. Candidates planning to appear in the upcoming SBI PO Recruitment 2019 exam can find complete details regarding the SBI PO Recruitment 2019 on the official website – sbi.co.in. The last date for receipt of SBI PO online applications and fee payment is today, April 22, 2019. Apply here! 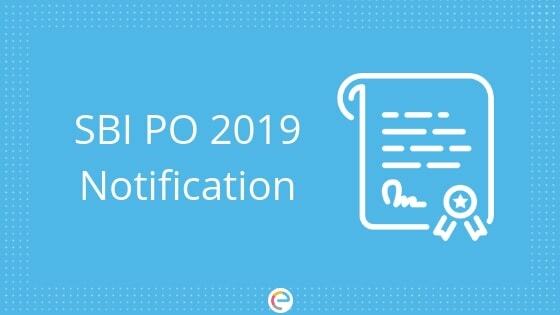 The SBI PO Recruitment 2019 Notification was released on 1st April 2019, announcing 2000 vacancies for the post of Probationary Officer. Additionally, 133 posts are available for LD, VI, HI, D & E category candidates, according to the official notification released on sbi.co.in. The SBI PO Recruitment 2019 notification released on sbi.co.in announced over 2000 vacancies for the post of Probationary Officer. Current Affairs – Technology, Sports, Awards, Books & Authors, Awards, National & International Events, etc. The preparation for SBI PO demands the candidates to be serious and methodical right from the beginning as SBI PO Recruitment is one of the tough exams. Create your study plan in a manner that you do not have to fret at the last moment. The syllabus for the exam is vast and requires preparation right from the release of notification. It is very essential to choose the right study material in order to score well in the exam. The SBI PO Result for each stage will be declared separately on the official website of SBI. In order to check the SBI PO 2019 result, aspirants can log in using their Registration Number and Date of Birth to check their result. Embibe hopes that this detailed article on SBI PO Recruitment 2019 helps you understand the essential points regarding the exam.